Each year, at about this time, people start visiting our site, looking for the Best Coaching Blogs Contest and this year is our Fifth Anniversary, so it's going to be extra special. Best Coaching Blogs is the only coaching blog contest, that we know of, which is decided by popular vote and that's hugely important. 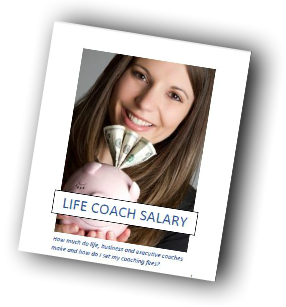 For instance, this blog, the Coaching Blog, was named Number 3 in the Top 100 Life Coach Blogs of 2013, which is awesome. But it would be even more awesome if our readers, subscribers or fans voted it #3, because they're the folks we write it for. And that's the coolest thing about Best Coaching Blogs. Best Coaching Blogs contestants attract more readers, subscribers, fans and even clients just by actively participating in this contest - especially the bloggers who make it into the coveted Top Ten. Either way, it's cool to be able to refer to you 'award-winning blog' ever after. Hundreds of coaching blogs have been entered in Best Coaching Blogs over the years, so it's super cool to win it and each year, there seems to be an upset or two, with surprise winners coming from out of 'nowhere'. That makes it fun for everyone, whether you're a new coach or a big coaching organization. 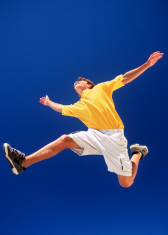 So how do you enter Best Coaching Blogs 2013? This year, the contest will run a little later. Instead of running for one month in late spring or early summer, the actual contest will run in July and August this year. But you can enter as an early bird and get a head start on winning. 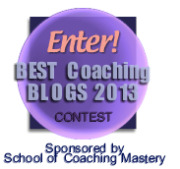 Click the button below and fill out the quick form to join Best Coaching Blogs 2013 for free. Then make sure you write some award-winning-worthy content between now and then. The contest tends to be won based on your most recent blog posts. Also add the contestant badges to your site and plan your social media campaigns. The bloggers who actively promote their blog entries via social media have the best chance of winning Best Coaching Blogs. Good luck! Yesterday, SCM student and coach, David Papini, published a wonderful article in this blog on How to Coach a Viking, in which he analyzes a one-minute coaching session from the children's cartoon, How to Train Your Dragon. Nominate your favorite coaching film in the comments section of this blog post. What makes a 'coaching film'? In most cases, there will be at least one pivotal conversation in the film that inspires someone to take transformative action. The conversation between Astrid and Hiccup in How to Train Your Dragon is a great example. Tell us why you think your nomination is a great coaching film. 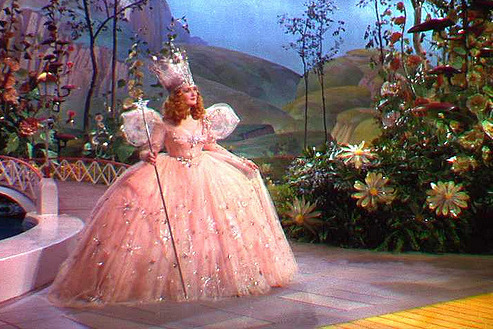 For example, I think Glinda the Good Witch (above), in the Wizard of Oz, is a wonderful example of a coach. She believes in Dorothy, enjoys her completely, gives her tasks that help her grow and informs her of strengths she didn't even know she had. Without Glinda, Dorothy's story would have ended in Munchkin Land. The Top Ten nominators will each receive a $100 discount on any live coaching course that is currently on our Fall schedule. The Winner will get one coaching course from us, FREE. Must be a live course that is currently scheduled. No exceptions. Subscribers to this blog will receive this contest announcement first. Other members of our mailing lists will get the announcement a bit later. This is a not-too-subtle reminder to subscribe to the Coaching Blog in the upper right corner of this page. We try to reward our readers with opportunities like this, as a way of thanking them for their loyalty. Nominate your favorite coaching film in the comments section, below. 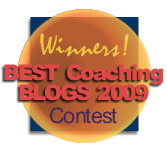 The Best Coaching Blogs 2009 Contest is in full swing. The Qualifying Round ended with 19 blogs being cut. Now the more competive blogs are jockeying for the first page and top positions. The option to vote a blog up or down, makes the competition particularly fluid. Not sure we'll keep that option for next year, since voting a blog down feels a little un-coach-like, but it makes the contest fun! With 16,000 hits to the contest page in the last few weeks, votes and positions are changing rapidly, especially between the top five blogs. A blog can actually have negative votes, but the lowest grade you will see for it is zero. When someone votes for it, the vote will be counted, but it won't change from zero until the net vote is one or higher. The system remembers your computer, so you can't vote it up more than once. In this case, your second vote won't be tallied. With 16,000 hits to the page, the odds that someone else is voting at the same time that you are, are pretty good. If they vote down, while you vote up, the net vote is zero. Sounds incredible, but I've seen votes go up and down dramatically in minutes and I've seen votes stay "stuck", as well. This contest is very active. The position of a blog won't change unless you update the page. For readers of blogs, this is a great time to read the best coaching blogs, because they are all in one place. Don't worry, here's a strategy for finding the time to read them all. 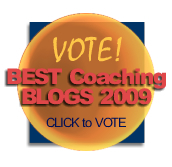 It's also a great time to cast your vote and help determine who gets declared the Best Coaching Blog in 2009. And for those of you who own coaching blogs and are regretting that you didn't enter the contest in time, there is always next year. Still, I don't enter that many contests, so it feels really fresh to suddenly be a two-time winner. The first contest was just a nice surprise. One week ago I found out on Twitter that I'd won a $100 Gift Certificate to Amazon from Dimdim.com, the webinar company whose platform I love. Yippee! All I did was retweet their announcement that they were a winner in the Webware 100 contest. So now I have a tough choice to make: spend $100 on some of those cool books that are on my Amazon Wishlist, or invest in a nifty Flip camcorder? However winning 'The Peppered Customer of the Year' contest just about launched me into outer space! What this means is that I get free virtual assistance for one whole year from Pepper Virtual Assistant, a great new company that 'gets it' and is doing really professional work. If you know me and my business then you know we're at that awkward stage where we need a lot more assistance without breaking our budget, so this is a dream come true! How did I hear about the contest? My friend, Barbra Sundquist tweeted about it. Barbra found Pepper because she tweeted that she was looking for a virtual assistant that would work for free to help out a non-profit and Pepper volunteered. Now I'm blogging about Barbra, Pepper and Dimdim. Are you seeing a pattern here? Be ready to help other folks out. I invite you to follow me @MasteryCoach on Twitter. I post great quotes, retweet other people's stuff and report on cool companies and resources. 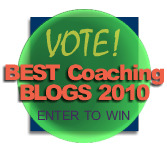 Best Coaching Blogs 2009 has gone live. Vote for your favorites! The contest went live yesterday with the first few entrants and Renee Shupe's Redhead Blog has an early lead. By the way, if you're a coach who writes about coaching stuff, it's not too late to enter your blog and win. We'll accept entries through May 31st. It costs nothing to enter and could bring you more traffic, readers, fans and clients, so what's not to love? Your blog will be entered at the top of the list, which gives you a good chance of getting votes and even winning. Voting continues through June 30th. Winners get badges for their sites declaring their blogs 1st, 2nd, 3rd, Top Ten, or honorable mention; plus they get permanent, high-quality SEO links to their blogs and nifty bragging rights. Best of all, quality coaching blogs will get read by more people, spreading the wisdom and value of coaching to folks who need it, especially now, and expanding success for professional coaches. Wins all around. Don't have a blog? Then please read, vote, add your comments and spread the word. 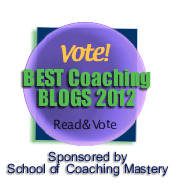 VOTE FOR BEST COACHING BLOGS HERE.